When not photographing children, families and those pampered pooches and kitties that we hold near and dear to our hearts, you'll find me at two local municipal shelters photographing their animals to give them a leg up in finding their furever home. Last week I posted four collages of the rescue images I took in 2017. This week I thought I'd look back at one of the shelters and do something creative to commemorate my activities there in 2017. As a 16-year resident of Coppell, I have been volunteering at our own Coppell shelter for over 5 years now, but as they were closed for a few months for renovations last year, I gathered the images from Carrollton Animal Services and Adoption Center. It's always dogs and cats and sometimes rabbits, Guinea pigs, ferrets, chickens and other various furry and feathered creatures. I don't photograph every animal as the staff does a fantastic job the other 6 days of the week, but last year I delivered almost 600 images to the shelter to improve those animals chance at adoption. This is a mosaic of those individual images making up the portrait of Valerie, a Staffordshire Terrier Mix that I photographed in July of last year; zoom in and you will see each and every animal. She, along with hundreds of others, were successfully adopted out by this exemplary Dallas-area shelter that I'm proud to be associated with and even prouder still to say that I've been named the Volunteer of the Month for January 2018! 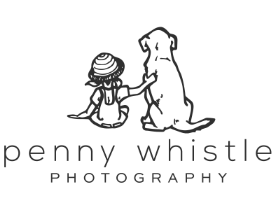 I'd love to hear from you to schedule your own family or pet portrait session. Contact me today to schedule your pet's portrait session!